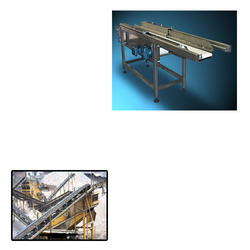 Leading Manufacturer of shuttle conveyors for mining industries from Delhi. Inferable from our incomprehensible manufacturer, we have the capacity to fabricate and supply ideal quality Shuttle Conveyors for Mining Industries. It is a unit intended for full-bed applications. Our reach is utilized for delivery path gathering or for a manual bed stacking operation, yet can likewise be utilized as a short move segment in lieu of a three-strand chain exchange transport. Looking for Shuttle Conveyors for Mining Industries ?